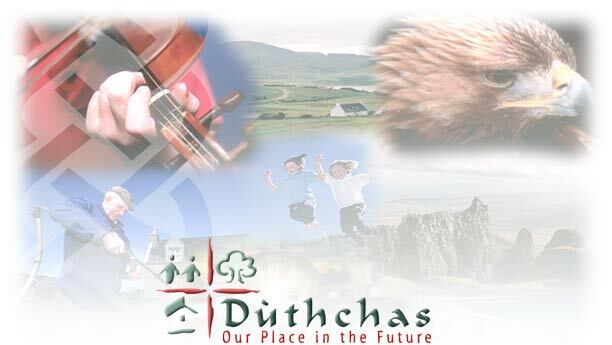 The Dùthchas Project was a demonstration project funded by the EU Life Environment Programme from 1998-2001. Focused on the Scottish Highlands and Islands, the Project worked with 3 communities and 22 public agencies to explore ways of sustaining fragile rural areas  the natural heritage, the people and the economy. North Sutherland, North Uist and Skyes Trotternish peninsula were chosen as the 3 Pilot Areas.